© EQRoy / Shutterstock.com — Founded in 1827 as King's College, the University of Toronto, located around Queen's Park, is ranked first academically among Canadian research universities. To start with, we would like to provide you with some statistics. First of all, according to the Canadian Bureau for International Education’s International Student Survey, 90% of Canadian students are fully satisfied with their studies and 95% would recommend Canada as a destination point for international students. So the fact that Canada is considered to be a home of some of the top universities in the world does not sound surprising. To be specific, according to Times Higher Education’s World University Rankings 2016-2017, 26 Canadian educational institutions are listed as among the best in the world. Though you might not have heard of all of them, there are at least 5 universities in Canada you have to know. These educational institutions are included in the top 200 and provide their students with plenty of opportunities for a world-class education. Besides a great number of benefits such as world-recognized certificates and diplomas, simple application processes and opportunities for permanent residency, education in Canada is more affordable than, say, in the US. Most of the Canadian universities that were listed among the top in the world, such as the University of Toronto and the University of British Columbia, make a huge impact on research, producing high-quality academic work that is well respected all around the world. It is worth to mention that most of such institutions are also known around the world for promoting a global outlook through enrolling international students. Such institutions are the University of British Columbia and the University of Montreal. So students of such universities can expect a cosmopolitan feel on campus. The University of Toronto was the first university founded in the colony of “Upper Canada”. As originally it was controlled by the Church of England, the University of Toronto, the same to most prestigious universities of the UK, is structured as a collegiate system. It consists of 12 colleges, each with its own history and features. 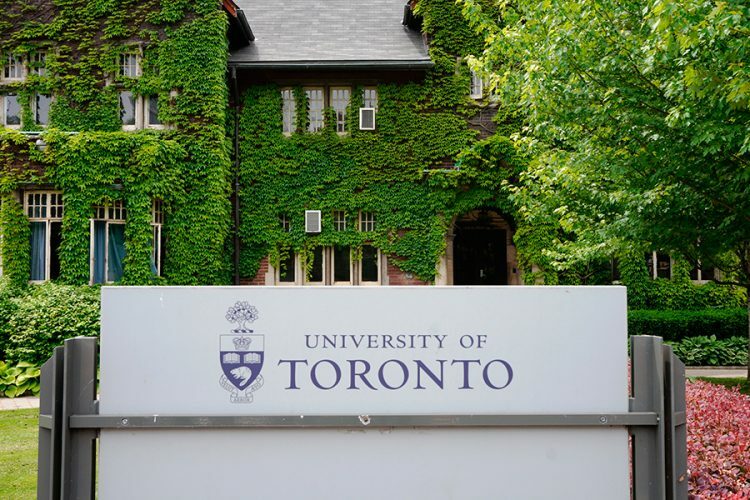 The University of Toronto is associated with such notable achievements as the establishment of the first academic publishing house in the country and the first forest science faculty in the country. Furthermore, it is worth to mention that exactly the University of Toronto is considered to be the first university in Canada that reached more than 1 billion CAD in the endowment. Also, the University of Toronto is considered to be a home to such influential movements in the country as the Toronto School of literary criticism and communication theory, the NP-completeness theory in computer science, and research into stem cell treatment. The population of the university counts more than 60,000 full-time students. Also, the university is popular among international students who constitute about 15% of its total population. European students and visitors of the university who feel skeptical about the architecture in North America will probably be impressed by the university’s downtown campus that contains several historic buildings and country yards. The University of Toronto, known as the best in the world of medicine, offers more than 700 undergraduate degrees and 200 postgraduate degrees. The university’s notable alumni are 5 prime ministers of Canada, 10 Nobel laureates, as well as such writers as writers Michael Ondaatje and Margaret Atwood. The University of British Columbia is considered to be the oldest in the province and one of the most competitive in the country. It contains two campuses: the main one is situated in Vancouver and the other one in Kelowna. The main campus of the University of British Columbia is known among students as a very attractive place to visit. It is situated close to several beaches and opens a great view on the mountains of North Shore. Also, the campus is surrounded by a number of botanical and memorial gardens where students can spend a great time. One more distinctive feature of the main campus is its renowned performing arts center. Also, the University of British Columbia, the second most reputable institution in the country, has the world’s largest cyclotron situated in the national laboratory for particle and nuclear physics – TRIUMF. The university offers 19 faculties: 12 on the main campus in Vancouver and 7 on the Kelowna campus. Also, students of the University of British Columbia have a chance to take part in a special joint undergraduate program with Sciences Po situated in Paris. There are more than 50,000 full-time students at the University of British Columbia. About 25% of its students are international. The university offers various scholarships. The most notable one is the Donald A. Wehrung International Student Award for candidates from war-torn countries. The university’s notable alumni are 3 prime ministers of Canada, including the current prime minister of the country – Justin Trudeau. Also, 7 Nobel prize winners, 69 Rhodes scholars and 65 Olympic medalists graduated exactly from the University of British Columbia. McGill University that was founded nearly 200 years ago, in 1821, is the only university in Canada that was represented in the World Economic Forum’s Global University Leaders Forum. The main campus of the university is situated at the base of Mount Royal in downtown Montreal. The campus made of local gray limestone is listed among 17 world’s most beautiful campuses. So first-year students of McGill University live in aesthetic buildings that form a park-like campus. The nation’s faculty of medicine was opened exactly at McGill University in 1829. Even today the University scores highly in world rankings for clinical subjects. McGill University has a population of more than 40,000 students. Also, it is considered to be one of the most popular choices among international students who come here from 150 different countries around the world. McGill University offers more than 300 different degree subjects and counts itself as the most internationally diverse university in the country. It is worth to mention that the new students of the university have higher average grades than those at any other university in the country. The university’s notable alumni are singer-songwriter Leonard Cohen and the actor William Shatner. Also, the McGill University graduated more Rhodes scholars than any other university in Canada. The University of Montreal is the only Francophone University listed in the top 5. Its population is considered to be the second largest in the country and counts more than 50,000 students. 25% of its population consists of international students. 74% of the students’ union of the University of Montreal is enrolled in an undergraduate degree. Also, the students union is represented by postgraduate students, as well as three fraternities and sororities. Students of the University of Montreal can enjoy various sports recreations offered by the university. They can play Canadian football and hockey, as well as they have a chance to join the university’s team known as the Carabins to compete in badminton. The main campus of the university is situated on the slope of Mount Royal. Its landmark tower that was built in the 20th century is considered to be a great example of the Art Deco style. The University of Montreal graduated many renovated business leaders, ten primers of Quebec and many other government officials. Also, graduates of the University of Montreal are known for their contributions to scientific research. The University of Alberta was founded in 1908 and since that time it has a significant impact on the region. The university consists of four campuses situated in Edmonton. There are also a number of other facilities around the country. It is interesting to know that the University of Alberta annually generates for the Alberta economy as much as 5 per cent of the gross domestic product of the country. The university’s population is currently just under 40,000 students. International students of the university who came from almost 150 countries around the world represent its cultural and ethnical diversity. One of the most distinctive features of the University of Alberta is its unique faculties, the School of Public Health and the Faculty of Native Studies. The university also offers online paleontology courses and research. The University of Alberta is also known for its library that contains 12 million library items, as well as university’s vast collections that count more than 7 million curated objects. The university’s most notable alumni are the former Prime Minister Joe Clark and Nobel prizewinning physicist Richard E. Taylor. As we mentioned before, there are 26 Canadian educational institutions that are listed as among the best in the world. Besides the listed top 5, the top 10 also includes such institutions as McMaster University, the University of Waterloo, the University of Calgary, Queen’s University and Simon Fraser University. Such institutions as the University of Western Ontario, Dalhousie University, Laval University, the University of Ottawa, the University of Victoria, York University, the University of Guelph, the University of Manitoba, the Universite du Quebec a Montreal and the University of Saskatchewan are included in the top 20. The remaining 6 best educational institutions in Canada are Carleton University, Concordia University, Memorial University of Newfoundland, the University of Regina, the Universite de Sherbrooke and the University of Windsor.